Legacy Navigation System - Keating & Associates, Inc. Your wealth isn’t defined simply by dollar signs. It’s much more than that. Whether you’ve successfully raised a family, grown a company, served a community, developed a positive financial balance sheet, or all of the above, you have led a life of significance. Don’t let any of that significance get lost. Your personal, social and financial wealth must be preserved and shared, so generations to come will be inspired to continue your legacy. Keating & Associates’ Legacy Navigation System™ will help capture the three dimensions of your wealth – personal, social and financial – so that it can be passed on to future generations. Through a series of personal interviews mediated by certified professionals, we’ll identify valued information about your life and legacy. From information about your health and your wishes to information about your business and family, we’ll capture it all in order to create a written record of how your want your legacy to be communicated, shared and carried on. 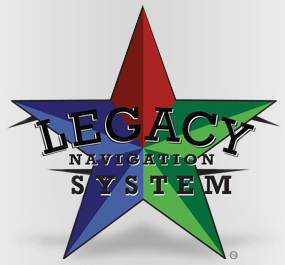 Legacy Navigation System™ is a trademark of Mark Queen, an advisor Keating & Associates. Find out more about the Legacy Navigation System™.